Work is set to continue next week on street improvements in Kirkwall’s town centre. There will be further repaving on the area around the TSB bank, on the junction between Castle Street and Broad Street, with a one-way system remaining in place. 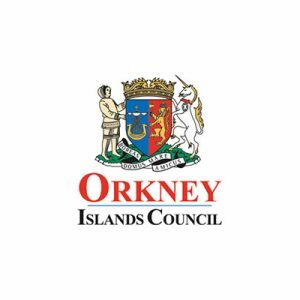 Orkney Islands Council has said once this initial stage is completed, work will then move to the entrance to Albert Street, meaning the street will be closed to traffic from Laing Street. It’s anticipated this work will start on February 4 and could take four weeks to complete. The current one-way system means drivers can turn into Castle Street from Junction Road and on into Broad Street but vehicles do not have access from Palace Road into Broad Street. A signed diversion via Clay Loan is in place. In addition, vehicles cannot turn into Castle Street from Albert Street – but can drive on into Broad Street. The works are part of the Kirkwall Townscape Heritage Initiative’s (KTHI) Places and Spaces project, which will see improvements to the area at the bottom of the Strynd, the creation of a new path to the War Memorial at St Magnus and improvements at the head of Victoria Street. The council has said the works at the top of Castle Street will see new paving and road surfacing laid, and the road surface raised to pavement level. This initial phase of the project is due for completion early May after which works will be suspended for the main summer season. Work at the entrance to Victoria Street is set to begin in the autumn, with a suspension planned, in December for Christmas shopping season.